Susan P. Bagby is a semi-retired physician-scientist in Internal Medicine/Nephrology and Professor of Medicine and Pharmacology/Physiology at the Oregon Health & Science University (OHSU) in Portland, OR. 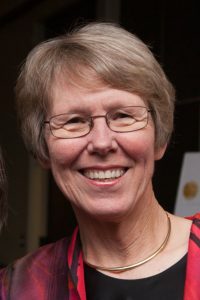 A graduate of Baylor College of Medicine, she joined the OHSU faculty in 1976, has had a career-long commitment to medical education at both undergraduate and postgraduate levels, and maintains a special interest in the prevention and treatment of hypertension. Her research interests center on developmental origins of hypertension and chronic kidney disease, via study of developmentally-programmed outcomes in a swine model of maternal protein restriction. Dr. Bagby served as OHSU’s lead organizer for the 7th World Congress of Developmental Origins of Health & Disease (DOHaD), the official scientific meeting of the International DOHaD Society, held in Portland, OR in September 2011, and sits on the Council of the Society. She leads the OHSU Moore Institute Community Outreach Subcommittee, which partners with existing programs linked to K-12 school-based communities (e.g. Food Corps, OSU Extension Service) to help change the prevailing food culture and to move the rapidly emerging science of DOHaD to evidence-based practical application in the communities of Oregon. In this episode, our guest Legacy Leader Dr. Susan P. Bagby explains how development before birth predisposes disease risk and why healthy nutrition across the lifespan is critical. She discusses how a baby’s development in the womb may predispose them to be at risk for hypertension, diabetes, metabolic disease, kidney disease, and obesity before they are even born including the life situations that may increase the risk after birth. 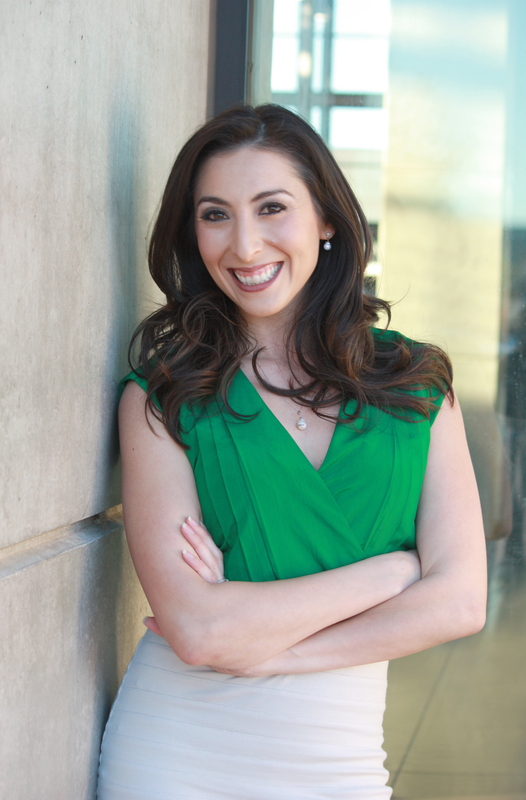 She puts a whole new spin on how you will think about a healthy pregnancy, supporting the fetal development and what individualized health means. 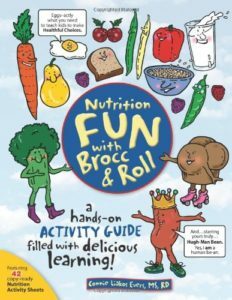 Dr. Bagby and her team are doing a lot of work within the communities of Oregon to get healthy nutritional experiences within schools from kindergarten through college. She explains the importance of placing value on good nutrition back into our communities and into our westernized culture. For those tuning in who may not know you yet, please tell them about your passion and why you chose a field in developmental programming with a special focus on Nephrology as a way to express this passion? Today I want to talk about one of your studies that I read but before we get to it I would like for you to add some clarity to a few key concepts for our listeners today so they are able to grasp the importance of your study. Would you please explain what “programming” means in terms of fetal development and how it affects a baby’s vulnerability to disease later in life? What types of early-life exposures can cause programming? How does programming alter the structure of developing organs and their function? Since many of our listeners have not taken physiology, could you please explain what physiologic regulatory systems are changed by developmental programming and how those changes alter their function. Could you please explain what the “thrifty” phenotype is and how it affects the appetite, developing metabolism, and body composition of fat and muscle mass? 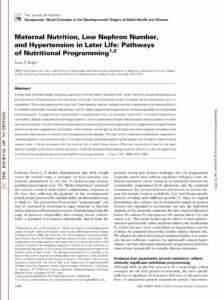 I read your review article titled, “Maternal Nutrition, Low Nephron Number, and Hypertension in Later Life: Pathways of Nutritional Programming”. Since many of our listeners have not taken anatomy may you also explain what nephrons are and what they do? Does a low number of nephrons always result in hypertension? If not why not? Why does an increase in growth rate after birth and through childhood increase an individual’s risk of renal disease and hypertension if they have fewer nephrons available? I know you have done animal studies exploring effects of developmental programming. Could you please explain why you chose to further investigate the pathways of nutritional programming? What did you discover from conducting these studies? Alright, now that everything has been covered head over to iTunes, Stitcher, or listen directly from the website to all seven episodes and tune in again on Monday, November 28 for the newest episode with.